Hexagon Composites wholly owned subsidiary Hexagon Lincoln has recently received several new orders for delivery of lightweight 26″ TUFFSHELLTM fuel cylinders to the U.S in 2013. The total value of the newest orders is in excess of USD 5 million (approximately NOK 30 million). These orders represent only the company’s most recent major orders for the newly launched 26″ TUFFSHELLTM line of high pressure composite fuel tanks. The company’s 26″ tank family, officially launched in January this year, are the largest Type 4 NGV fuel tanks in the marketplace. These lightweight, all-composite cylinders will serve as fuel tanks for Class 8 trucks running on CNG (compressed natural gas). “Due to its large storage capacity and flexible packaging, the new 26″ TUFFSHELLTM fuel tank is well suited for the increased range requirements of Class 8 truck fleets”, says Chet Dawes, Director of Sales for North America, Hexagon Lincoln. The U.S. Class 8 truck market includes vehicles with a GVWR (Gross Vehicle Weight Rating) of 26,000 pounds (12 tons) or more. These trucks benefit from the operational cost advantages of CNG with high consumption rates, long range hauling needs and heavy payload requirements. The U.S. Heavy Duty NGV market is experiencing strong and sustained growth which is expected to continue with the recent expanded line-up of larger, higher horsepower dedicated natural gas engines. With the light weight of composite tanks and industry leading capacity, Hexagon Composites’ line of TUFFSHELLTM fuel tanks allow fleet owners the flexibility of increased range with less compromise of payload capacity and wheelbase. 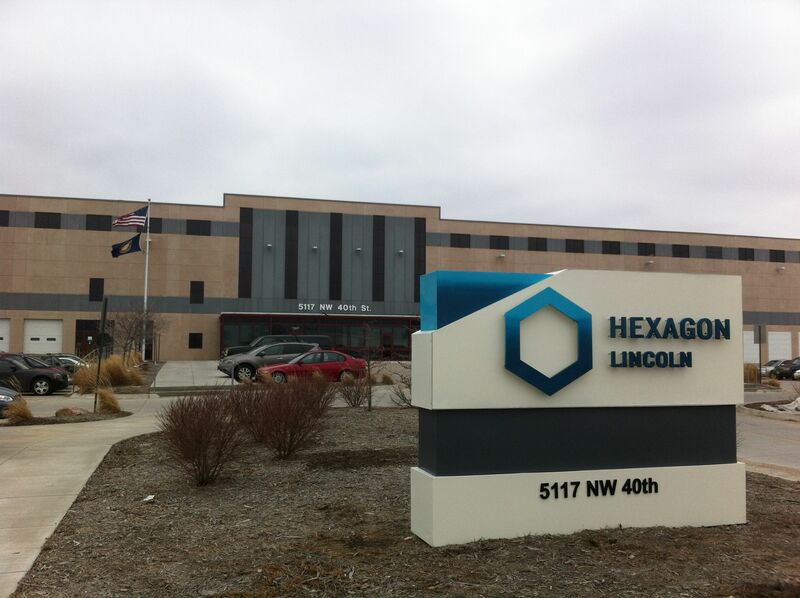 Hexagon Lincoln, the former Lincoln Composites, is based in Lincoln, Nebraska and has around 270 employees. Visit Hexagon Lincoln at booth #540 at the Alternative Clean Transportation Expo, Washington DC.